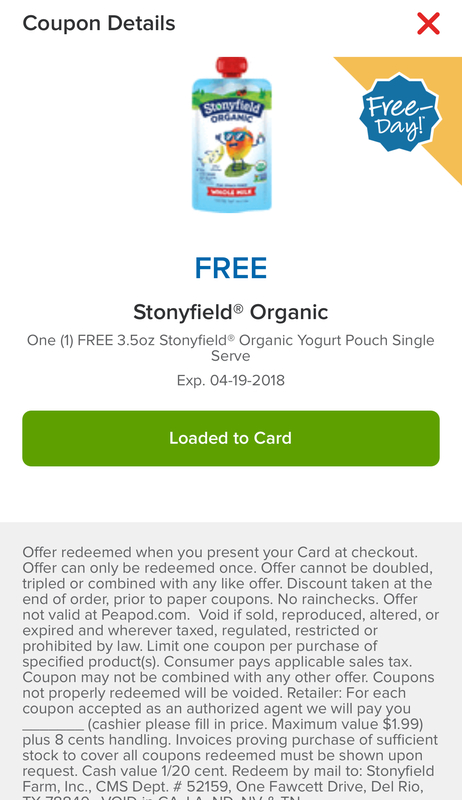 You can score Stonyfield Organic Yogurt for Free with a coupon. 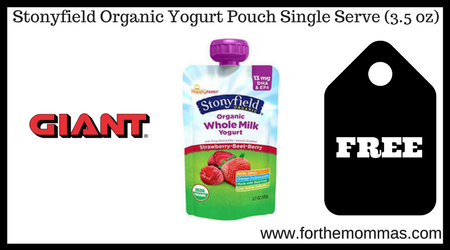 This coupon is good for one FREE Stonyfield Organic Yogurt Pouch Single Serve (3.5 oz). You will need to load the digital coupon by 4/6 and redeem by 4/19.